Branch Maintenance - Central Heating Engineer based in Sandhurst, Kent. 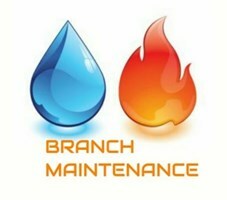 Branch Maintenance are a family run business that has 25 years experience in all aspects of plumbing and heating. We offer services ranging from oil boiler installs and servicing, oil tank installs, all aspects of plumbing and heating. Full bathroom installs. I can undertake domestic and commercial work.